Today guest is my buddy Anthony Dangio formerly known as Flex. When we met online the first time a couple of years ago Anthony was crushing it in the country music scene. He was working with the most famous artists in this genre and flew to Nashville every 2-3 months. In this interview, we’ll talk about how everything began. Anthony will share a behind the scenes look at how he built his own brand “Get-flexed” and how his path evolved to becoming a climber and landscape photographer. Matthias Hombauer: Thanks for being my guest, Anthony. How are you doing today? Anthony D’Angio: Thank you, Matthias, I’m doing very well, how are you? Matthias: I’m good too, thanks so much. So, first of all, we had to postpone this interview for one week because something not so funny happened to you. Can you give a few words about what happened? Anthony: I’m kind of laughing at it now but I really shouldn’t. Last Monday, as I normally do I headed up the mountains in North Wales and, I won’t go into the whole story, but basically, I suffered a fall of about 90 feet, I slid down the mountain. It was just the icy conditions, it could have happened to anybody, but unfortunately on the day it happened to me and I toppled down, hit some rocks on the way down, flipped over, hit my head a few times and the bottom line is I walked away from it I had no idea how what happened. I was given a lifeline that day and I had to wade in the snow, the man rescue, the helicopter winched me up, took me to North Wales’ Hospital and they gave me a head and chest x-ray and everything was clear. I’ve got some broken ribs but that’s about it. I’m kind of healing nicely, but my confidence is completely shut at the moment. Matthias: I was literally shaking as we had the call and you told me that you couldn’t do the interview because you had this accident, one day before we scheduled it. Anthony: It was, yeah. It’s a shame and I apologize I just wasn’t in the right frame of mind. Matthias: No, no worries. Hopefully, you’re good again and everything’s fine. Did anything change in the last days of your mindset or the way you think about life in general? Anthony: Absolutely, it’s been a wake-up call. I’ve gone through it in my mind a lot of times since it’s happened and I’m kind of slowly getting pass it now. More than anything I think it’s something that had to happen. I keep saying to myself I was meant to cross that ridge, I was meant to fall, I was meant to walk away from it. And that’s how I look at it because if none of that happened then something else could have happened down the line that could’ve almost been a blessing in disguise like my saving grace, for me to take a step back now and sort of slow down a bit, I was pushing myself too hard and it could’ve just saved my life for the future. It was a lesson I think, a lesson that I was taught. Matthias: Right, maybe it’s a lesson for your life to reconsider what you’re doing. Anthony: Yeah or just take it a bit slower and realize I’m 47 years old, I’m not 20 years old and I’m not superhuman or invincible or anything like that and I think I need to just take a step back. If you take it back to the photography thing, a few years ago when I was burning the midnight oil and I was never sleeping and I was churning editing that wasn’t gonna be good for my body as well, constantly doing all that kind of stuff non-stop. I think I’m a bit obsessive in that way and I tend to get my mind of something and just go for it and do it and kind of neglect my body or my mind telling me to stop or slow down and I think these things happen for a reason. Matthias: Yeah. Great to hear that you’re fine again, even though you have some broken ribs, but they will heal. So, let’s go back to the beginning when you started out as a photographer. A couple of years ago we had a Skype chat and you were big into concert photography, especially country music. Matthias: And you had your brand name of Flex Frog so tell me more about this. How did you start out as a music photographer and how did you go into this direction of country music or is it the music that you relate the most with? Why country? Anthony: Well, country music didn’t enter my life until very late. My ex-wife and I did a road trip to the States back in 2009 and that’s where we discovered country music so I got really into it. I’ve been taking photos since I was 5 years old, I’ve always loved photography. I remember around 2006 when I got back into photography. I took a break between the analog and digital era. I had a very good analog camera, I think it was the Canon EOS 3 which had the eye control focus. Matthias: Which is the Holy Grail of Canon analog cameras, maybe. Anthony: Basically. And of course when that all died and we moved to the digital side the cheapest digital camera was something like 10,000 dollars and it was the cheapest DSLR camera, it was ridiculously priced so I thought “You know what I’m taking a break.” It was only back in 2005-2006 that I picked up a Canon EOS 350 and I slowly moved along as I started taking more photos and understanding the digital side and I think going back about 10 years now, I started going to concerts and sneaking my camera in and I developed a really –I thought it was a very clever way of getting my DSLR into gigs, – I always I love telling this story, I always took a plastic bag with me and I’d shove a jacket in there and a newspaper an some things and I’d dismantle my camera I remember having an SLR body and I had always an 85mm 1.8 lens, that was the lens of choice, I think it was the only lens I had. I took the lens off and I put it in the bag and I would queue up the whole day for front row, mosh pit type seats and, as we were getting let through, I would take my jacket out of the bag, put my SLR under the jacket and hold my jacket in one arm (the body) and I just showed them my bag, I would open my bag, they never really questioned the lens and if they did I would say “Oh look I just bought that lens” or I would make up a story and then I got in. And I remember I successfully did that with some cool gigs like Pink at the O2, Green Day at Wembley, Whitesnake and Def Leppard and I got my little foray into understanding how light works in very quick environments because you had to be careful with security and stuff and I did that for a while and I thought “You know what I really one day would love to be one of those cool guys at the front, I wanna be one of the cool kids in that photo pit.” A year or so past and I just thought “It’s never gonna happen.” I think I sent emails to Kerrang! magazine and all this and I had no idea at the time I just sort of sent a whole lot of emails through, never got any response, understandably, I was slowly building my portfolio up, but obviously wasn’t to the standard of professional concert photographers or pro photographers in the pit and I just thought “You know what, I give up. I’m gonna move to street photography, at least there I didn’t need a photo pass, I can just go sit in Old Compton Street in London and just take my 70-200 lens and start taking photos of people and of life and that kind of stuff” and I really enjoyed that I think I had a couple of photos on display in an exhibition at one point because at this time I had a 5D Mark III and a 70-200 lens so I was starting to get into the real gear and then when I got back from the States and the whole country music scene, because my business was at the time online design and my biggest client at the time was Universal Music, I was slowly getting pushed into –well not pushed into– I approached them and said “Hey it’d be really cool if you see my photography, do you think I can get a pass” or something like that and there was another entity as well, a radio station in the UK, that got me on board and got me to shoot a couple of artists that came over because at the time country music was very slowly evolving, there wasn’t really anything going on and it was 2013 when the first C2C Festival happened and I managed to get a pass for that and from then it just sort of went crazy. The whole story of the association of the country music and CMA again was something that I came of my back because there was an artist that came over in February 2013 and I was shooting for the radio station and I took some photos and apparently those photos became viral to the fans. This guy has a big fan following, female fan following in the States and everyone was sharing them and my misguided understanding was “Wow these are fantastic photos” as opposed to “These are just photos of a good-looking guy those women love”. And I thought well if they’re that good then I’m gonna approach the Country Music Association because one of the gigs was a songwriter series but they had no photographer here, so I just got a contact and rang the CMA in Nashville and thought you know what I’m just gonna take a chance, this is who I am like to take chances and sometimes it pays off and sometimes it doesn’t. I rang up with the intention of OK I’m gonna offer these photos to the CMA. One of two things are gonna happen: I’m either gonna get a guy or lady who will go “Hey yeah fantastic really happy that you’re giving us these photos” and then try to get advantage of me everytime or I’m gonna get somebody with a bit of a conscience who thinks “Wow this guy reached out, that’s respectful” and fortunately, the person I spoke to was a good hearted person, a very decent honest person and that’s how the relationship began with the CMA. I’m kind of proud of that, because that was off my own back, I took a chance and it worked. It could’ve backfired, but it worked and I guess things just sort of spiralled and skyrocketed from then and for quite a while. Matthias: Yeah. I love your story because you simply took action, because so many people want to live their dreams but they don’t take any action, they’re just waiting for some miracle to come, which won’t happen. If you put yourself out there and just take action, probably there’d be a case where they don’t answer your phone or email or as you mentioned you wrote to Kerrang! and all the magazines and no one got back, it’s hard and you just have to have a goal in mind and go for it. Anthony: It’s like everything you know, applying for a job, you can get thousands of rejection letters you can get so many things and if it knocks you down you’re not gonna get anywhere, you have to forget about it. You have to remember that these corporations, these entities are going to receive thousands and thousands, you’re not the only one that’s applying for a photo pass or what have you. You just need to remember that and keep persevering and one day you will. Anthony: Yes, I started off doing the CMA fest and the CMA awards I was introduced to the BBC over here who were covering the CMA awards and the relationship was built with them and they’re a great bunch of people to work with, I kind of miss that aspect because it was great working with Bob Harris and a number of the guys down there. From there, because of my work ethic –and this is one thing I’ll touch on later– one thing I learned quickly quality of the photography vs the quality of the photographer as to what’s the importance of both, what I discovered was that my work ethic was well regarded and that gave them confidence to put me artist facing and manager facing and I started meeting some of the management and some of the artists and that’s how that side of things happened and a year later an artist would come to the UK and they would contact me asking me to shoot for them, that kind of stuff. Obviously living in the UK they’re not gonna contact me to shoot for them in Nashville, unless I’m already there, but with the growth of it coming to the UK there was more and more people, I noticed this year in October and November when it all went crazy with all the gigs one after the other, even after not having done it for so long people still contact me and that’s a nice testament. Matthias: So, talking about work ethics. What do you think are the must-have attributes for a photographer nowadays in respect of working habits? Anthony: Ok so, in Nashville the call it “the hang” but it’s basically how well you can connect with the artist and I remember the story that he told me. His friend was being interviewed to be a tour photographer for a support band for Keith Urban at the time because I think the photographer was sick and the artist actually said let’s meet in a bar and have a chat. They met in a bar and the first thing he said was “let’s have a shot” and they had the shot. It was all about just being real and just seeing how that person can be. As an artist you’re gonna be spending a lot of time with them and you gotta pass your trust onto them and you gotta see if that’s person is trustworthy because they are getting access to places and situations that could easily turn around and they can go sell photos to the tabloids and think like that so you gotta understand from the artists’ perspective. Just because your photo may be the best photo that was ever taken, they may not hire you if you’re –pardon my French–, well no, I won’t say it, but you know what I mean. So that’s what I would say, the balance between photography and photographer is a lot closer than a lot of people think. Matthias: I totally agree and I also think that it’s important that you get great shots and have awesome photos but that’s not all so you as a person have to fit and have to make great connections. From my experience, when I was touring with some bands, you have to fit in the group because otherwise, it’s not going to work with them, you’re with them 24 hours, sleeping with 15 people in a bus, so if you don’t get along it’s gonna get complicated and no one needs extra stress on a tour. Matthias: So, talking about your brand, Get Flexed. How did you come up with this? I think you’re not using this brand anymore. Anthony: No, I’m not. I put it to rest at the end of last year. Matthias: Ok. Tell me more about it. Anthony: Well, my business, which is still trading is called Kiss the Frog, it’s a design agency, I do websites, design, development, any kind of creative design and when the photography kicked in I decided to incorporate that into the business because obviously it was a revenue generator and plus I thought well I’m gonna get good tax benefits from it and it’s a creative service. Kiss the Frog at the time when I created the business I decided that because I think outside the box I’d make it a cool funky brand and created this frog and I just called him Flex, there’s no thought behind it, I looked at it and thought “Well, Flex. That’ll do, I’m flexible, that’ll do.” I see these brand agencies that go and spend months to come up with a brand and I’m like give me half an hour and I’ll think of something. Anyhow, that’s part of my business and I think it was Country to Country Festival in 2013 and my handle on Twitter was Flex, X the frog Flex. I was in the photo pit and I heard this guy calling “Flex!” from the crowd and I kind of turned around and he goes “I follow you on Twitter!” and I said, “Oh, thank you, you know”. Meanwhile, all the other photographers are watching which is another story. He came with his girlfriend and I thought he wanted me to take a photo of him and his girlfriend and he turned around and said “No, no.” he asked his girlfriend to take a photo of him with me and all these other guys didn’t let me live that down for the whole weekend and I just thought “Oh, he called me Flex, it’s easy, it’s one syllable, it’s easy to remember, it stands out and few other people started calling me Flex and it just grew from there and I think after while I just thought because I hadn’t branded anything Flex, it was just Anthony D’Angio Frography which I really hated that, that was one mistake and I just thought “Get Flexed” sounded really cool, as in “get shot by Flex”, “get photographed by Flex” and I came up with that, again in half an hour and then, of course, I decided to make a branded t-shirt for myself and then a few other people started saying “I’d love one” so I started getting into that kind of things again. Deluded, misguided probably, but it was just fun at the time I’m light-hearted I don’t take myself seriously. And that grew to the point where I’ll be standing in Nashville and someone will come up to me and see my t-shirt and say “You’re that frog guy!” It kind of works because my intention at the time and I think you’ll understand, Matthias. There are so many photographers shooting live music or shooting anything really and it’s a sea of photographers out there that are just incredibly talented. I mean I’m on Instagram checking through and I see some photos from unknown people that are incredible and I thought “What can I do to just push myself, just give myself a little bit of an edge, to stand out. And I thought well I’ve got a background in branding, a background in marketing, I grew my social media following, I understand that side of things and I thought anything I can do to give myself more exposure while I was growing and while I was trying to get my name out there to just push myself up a little bit above the sea of photographers, not necessarily from the stand of the photography but from a marketing perspective and I thought “Why the hell not” It’s not my fault if other people don’t do it, I’m just doing something that I’m passionate about and if I wanna succeed in something I’ll do anything to make sure I do, without doing anything untoward and that kind of worked for me and I grew that brand, as you know, quite successfully. Matthias: Yeah it was an awesome brand. Anthony: Thanks. And you know, I still have my t-shirts, when I moved houses earlier this year I was packing and I looked at all my t-shirts and thought “I’m not gonna through them away, I’m gonna keep them.” What made me change, why did I get rid of it, I put it to bed at the end of the year and of course my journey began last year with a lot of personal things happening in my life that I took a step back from it and a lot of people thought I wasn’t doing concert photography, I wasn’t doing country music photography anymore and that was just an assumption because they saw less and less content come out but I just felt at the time I needed to take a step back in order to take two steps forward in my life, not in the photography side of things but in my life. I burnt out, I was doing so much and dedicating so much of my time, a lot of things happened last year, obviously, my mum passed away earlier in the year, my marriage ended. Anthony: Thank you. My marriage ended for a lot of reasons. My life changed. The hardest thing to come to terms with was going from having my kids 24/7, every day of the year since birth to only seeing them on the weekend and that took a bit hit for me and I kind of decided I’ll try and find what works for me and try to rediscover myself and rediscover my passion and creativity for life and I decided I’ll start to go out and take photos of nature, getting out into the landscapes and that led to mountain climbing and everything that has happened since but that’s all I did, I took a step back from flying to Nashville every 2 or 3 months to do this and that and you know, that didn’t help my marriage, that didn’t help my relationship with my kids, that didn’t help my health. Matthias: Which is crazy stressful. Anthony: Yeah, very stressful. I’d go over there and I wouldn’t sleep and plus I built up a big group of friends over there as well so of course when I’m over there I’m not gonna be photographing, I’m trying to catch up with everybody and it was getting a bit out of control. So I decided to take a bit of control back in my life. All I said to myself in my mind and of course I didn’t state this publicly and that’s why people may have thought that I was taking a step away and not doing this stuff anymore. In my mind, I thought “I don’t need to prove myself anymore in the concert photography, my name is out there I got the respect of the people that I’m working with. If someone wants to come approach me they will I don’t need to beg and scream and ask for this and that anymore, I’m past that and I guess it’s funny because when you take a step away that’s when things start happening more, more often that I find. All it was was I worked with a few artists or I worked with a few things I enjoyed so I decided to make it more of a selective and a lifestyle business for me in that respect and working with Eric Church which I’ve done now since the middle of last year has been incredible, I’m very lucky that he’s my favourite artist as well in terms of listening to music. His management, his crew, the label, everybody in that camp are just cool honest people, I hit the jackpot – and I’m not talking financially here- I’ve hit the jackpot in feeling good with people and I really feel so good whenever I chat to this people, I’m treated like family when I’m over there and even when I’m not over there. I’ve got a text message just after I fell off the mountain from his managers saying “Oh my god I just heard what happened are you OK?” Little things like that, the personal touches that you know they care. So I just do a few bits and pieces here and there where I can, my time’s taken up in doing the documentary that I’m filming and also a few other projects which I’m working on and something for next year which I’m hoping is gonna be a long-term prospect for me which I’ll divulge in the new year. Things will come to me with regards to the photography and I’ll think well if I’m free I’ll do it and it was great to see when so much time has passed and these artists came over a couple of months ago and they sort of remembered me a reconnected with me and hanged out and the management remembered me and It was a nice feeling to feel like I haven’t been forgotten. Matthias: Yeah, that’s what it’s all about, I can totally relate to this. Also when I started out I did every concert I had time to do but then after some years you know you get a little bit picky because you say to yourself “I don’t have to prove myself to anyone” and if I just like a band I go there and I don’t have to hang out five days weeks if I don’t want to. Especially in my case with having a daughter now, everything’s changed so I was not shooting that much last year and also I was starting the podcast. Everything is placed now, the system is running now it’s fine, I should take more photos next year. Anthony: Well you’re always evolving and that’s so true. People are on a journey through their lives and people are always evolving. I never thought I’d be mountain climbing, I never thought I’d be doing concert photography ten years ago, I never thought this new project that I’m planning in my head, I never thought that was gonna be something that would’ve been a part of my life and you’re always on an evolution and your road may turn left or it may turn right and you just follow with what feels right and that’s how I feel my life, my instincts and my inner voice is what I follow. Matthias: Exactly. Let’s talk about mountain climbing and let’s skip photography. What would you say were the challenges when you’re started taking pictures of landscapes, where there any special challenges from a technical point of view was it clear what you were doing? Anthony: I’ve been taking landscape photos for a long time and I’ve obviously tried to hone in on the skill and understand and get better and this and that and different times of the day and things. I wasn’t really consciously thinking “Oh I have to be careful here” I just thought I’d go out there, give it a go. I threw everything in my backpack, obviously when you take a fall of 90 feet you’re 2500 pound lens smashes that’s understandable, that’s what insurance is for. I’ve dropped my camera down a waterfall, I think I’ve made a bit of money out of my insurance company. Matthias: So you take the big gear with you. Anthony: You know what? I still do. At one point halfway through the year or so, I thought I don’t need to take my SLR anymore because now I’m using a Mavic drone and I’m obviously using the GoPro Hero 5 which I think is a stunning, stunning – can take some stunning photos. And I thought “Well, that’s enough you know I’ve a got a camera stabilizer with a go pro and I’ve got my drone and that takes some good photos as well” and I thought “I don’t need to take my tripod and my SLR but what I’ve realised is that if I go to a new location that I’ve never been to somewhere like in the Swiss Alps or somewhere in the Dolomites, I’ll take my SLR. If I go to the same mountain up in North Wales all the time then OK, maybe I’ll just take the GoPro and the drone but if it’s somewhere that I think “Wow this could be an incredible cloud inversion at 4000 meters” then I’m gonna take it. When I attempted to do the Matterhorn in September obviously I had all my gear with me, didn’t succeed. Matthias: It doesn’t make it easier. Anthony: No, it doesn’t. I’m actually in the process of editing the scene which incorporates the whole of it through base camp and in my documentary at the moment so I’m being reminded of everything and I remember that seventeen days hiking up and up and down and above 5000 metres I literally had a 1DX and a 5DSR, a 16-35mm lens, and a 70-200 lens, hooked down to the front two straps of my backpack hanging down, my backpack had a drone, sometimes a laptop, a heavy tripod –no no sorry, I ended up getting a carbon fibre tripod so it wasn’t as heavy, but you know, all the gear. I was carrying the weight of two backpacks on my shoulders and no wonder I was always at the back. The amount of times the mountain guides were offering to take my backpack because they could see I was struggling and I was like “no, you know what, I want to do this, I want the struggle” I think it was a bit of a personal thing for me like I felt like I, let’s be honest, I wanted to feel the pain because I felt guilty about having not been in Australia when my mum passed away and be there for her so I just wanted to suffer a little bit so I didn’t let them take that, that was my personal demons that I was battling but it’s funny you mention the gear, that was probably the toughest, having these two big DSLRs pinned at the front of my backpack and hiking up and the altitude, it’s not easy. Matthias: No, I can imagine. So, how did you prepare for this? It’s not a hike anymore, it’s a climb. Anthony: Are you talking about Everest? Anthony: Everest was a hike. There’s no climbing in Everest’s base camp, when you get to base camp if you want to go for the summit that’s the actual climbing if you haven’t heard of him, there’s an incredible Nat Geo photographer that is also a North Face athlete, he’s called Jimmy Chin, he’s been up mount Everest 5-6 times and he does a lot of climbing and takes a load of photos while he’s hanging off a 3000 foot rock with his DSLR and he’s just swinging out and taking photos it’s just amazing watching these people and I think I’ve got it hard. But no, Everest base camp was just a hike. I shouldn’t say “just a hike” it’s a hike in high altitude and it’s quite relentless and it’s non-stop over 10 days that you’re going into thinner air so your breathing gets heavier and your oxygen level is less as you’re getting higher up so it’s harder to take the next step and even harder with the camera gear. Matthias: So, do you book a tour there or how does this work? Anthony: You can do it. There are organised tours that do it, I did it as part of a group for a charity for Alzheimer’s which is what my mum passed away with and I was with a group of people that I’ve never met, we met them in London and now I’ve got some life-long friends which is amazing. If I was to do it again, I’d do it either on my own or with a friend. Because you can do it on your own. Now I’ve learned the importance of acclimatizing, the importance of stopping and resting and letting your body tell you “OK you need to rest today before going back up”. Getting to Everest base camp from Lukla which is where you fly into is quite straight-forward in terms of directions, you can’t get lost, it’s a path and plus other trekkers are always there. You can organise your own permits, you can book your own tea houses on the way and I think that’ll be a much more enriching opportunity or experience to do because you can take it at your own pace because you can change your mind and go somewhere else go down that valley and go see another mountain. When you’re part of a group you don’t have that luxury. I remember seeing a few people that were doing it on their own this year and I thought “Uh, I envy them, I’d love to be doing what they’re doing.” So yeah, there are a multitude of ways that you can do it and I think it’s a lot cheaper if you do it on your own. Matthias: So maybe you’re going back in the future. Anthony: I’ve formed a really good relationship with the chief mountain guide and the police guy who was also into photography and that’s probably why we sort of spoke a lot because I was always at the back he was always waiting for me because as a mountain guide you can’t let anyone fall behind so he was always at the back and we used to talk a lot and I respect him a lot, I know what he’s done, he’s been up the Everest, he’s been up other several 6000-7000 metre mountains and I’d like to go back and hire him as a guide to do a peak, a Himalayan peak, not a trip to base camp, an actual climb of the Himalayan peak, not the Everest, not the dangerous ones, there’s one I have in mind which is a fairly straight forward one which is the highest trekking peak in the world called Mera Peak and I’ve been speaking to him about costs and I think It’d be a really nice experience to do it with one-to-one with someone that you trust and it’s funny going back to the whole thing about trust and then spending that time with somebody you know it translates to everything: photography, mountain climbing, the whole lot is about how you’re as a person, how do you connect to somebody. Matthias: So what are your next projects, are you going more into this direction of landscape photography, you mentioned you’re working on a documentary? Anthony: No no, I’ve been doing research into that and I don’t think it’s gonna see the inside of a cinema unless I’m very lucky. I’m not a filmmaker, I’m learning as I’m going but I’m proud of how far I’ve come and I think I’ve learnt a lot and I’m learning the editing side of things now and I don’t know, I haven’t done it for any other reason than to document my life and for posterity, to show my kids “this is what daddy did during his mid-life crisis.” It seems like I’ve inspired people and every week I get an email or a text message saying thank you so much this is what I’m doing now and that’s all thanks to you. That really means a lot to me, it really does because I’ve discovered this for myself and I feel “Gosh there are so many people there that just tend to exist through life” and they think “Oh no, this is too risky” or “No, I can’t do that because it’s outside of my comfort zone” But you know, life starts outside of your comfort zone, it doesn’t start on the sofa, so if I can inspire people and people wanna see this film then wow fantastic, I may be able to set up some screenings, I don’t know, who cares. But I’m not doing it for any other reason than because I enjoy it and it’s just a personal project of mine. I did say that there’s something that I’m working on at the moment and I hope to launch it next year but I’m not in a position where I really want to talk too much about it at the moment, but hopefully it’ll be quite exciting and –well, it’s exciting- and hopefully it’ll be lucrative and it can go in a new direction going forward for quite sometimes, but having said that I still love doing the album covers, the live music and I’d still do that. I just won’t focus my whole life on that basically. Matthias: I get it. I’m looking forward to watching the film, let me know when it’s out. Anthony: Yeah, I’m quite obsessive as I said, I’ve got this Christmassy period where it’s quiet, I’m everyday filming a monolog and then editing and doing this and that and getting Steve to look out which is quite good he’s helping me with the audio side of things so who knows, it may be ready in 3 weeks. Anthony: I doubt it, I doubt it. Matthias: So, did you ever have any doubts about becoming a photographer, if it was the right decision? If you look back. Anthony: That’s a very good question. No, I don’t scrutinise my choice, I’m a deep thinker but I don’t sit there and – if I make a decision, it’s something I wanna do I don’t then spend the next 3-4 days thinking “Hang on, let me think about this, is this the right decision, what are the implications of this?” I go with the gut instinct and I think that’s how I’ve been and to answer your question, when I thought “Right, this opportunity has come up for music photography, this opportunity has come up to go down that direction.” It felt good, it felt right and I just took it. Was it the right decision? Yes. Of course it was. Financially, maybe not, but I don’t think a bank account makes you rich. I think how you feel about life makes you happy. Matthias: Or at least not happy. Anthony: Yeah, exactly. I wouldn’t be where I’m today, I wouldn’t have experienced what I’ve experienced, I wouldn’t have the passion for things that I have now had I not gone down that route. I think regret is a waste of emotion because you cannot change the past. Anthony: And I think having done what I’ve done is the whole concept of the journey, I’m here today and I can reflect and look back on what got me here and smile if I’m in a good place. Sometimes you’re not in a good place and you kind of think “I should’ve never done that,” but you know, you can change it. Only you can change it. You can only control how you react to things. In answer to your question: yes, I think it was the right decision. Matthias: What would you say was your greatest loss during your journey and why? Anthony: My greatest loss… My 1DX. No, seriously. Matthias: Your 1DX dropped in the mountains. Anthony: Three times, yes. Oh, that’s a really, really good question. My greatest loss. Matthias: Like probably on a personal level… Is this question too personal? Anthony: No it’s not too personal, I have no problem talking about anything, that’s one thing I’ve learned about myself and I’m happy to answer any question, I just have to think about it so I can answer it correctly because you kind of put me on the spot. If you give me half an hour I’ll probably come up with an answer but right now I don’t have that. Look, it’s a very broad one, the answer, and again this is what has come to my head after a few seconds of thinking. It’s a very broad and high-level answer, it’s not gonna be a very –it’s not gonna answer your question very well. I think from my personal standpoint, what’s my greatest loss? Faith in people. Certain people, not everyone. Faith in people, because I’ve kind of felt –at the moment I don’t dwell on it because I think I’m a positive person and I’m leading my life and I’m happy with what I’m doing and I’m happy with my kids and the friends that I have but there was a certain period of time where I felt kind of used by a lot of people, where I felt like all I was seen us was a commodity rather than a friend or a human being. “Oh, it’s cool to know Flex,” you know what I mean? Well, “Flex is the country music photographer in the UK and we know him and we’re his friend” and then when I backed away from that it was very interesting to see how certain people also backed away. Matthias: Who are your real friends? Anthony: Exactly. You said “What’s my biggest loss and at the time It hurt but right now I think what that’s given me is an understanding of people and I haven’t put my guard up I welcome people into my life but I feel like it’s quality over quantity for me now. I don’t need a thousand friends, I’ve got my inner circle that I’m happy with and they’re people that I know that would go to the end with me. Matthias: And then they add that you can only have 5000 friends on Facebook. Anthony: I know, I’m struggling with that, I’ve got like 15000 requests on there. No, I’m kidding. But that’s probably there may well be other things that might come to mind but that’s sort of what comes to mind. I can’t say my marriage because I think everything happens for a reason and of course, if things were different it’d be great to have a family unit together, but there are so many things on a personal level that’d probably make more sense to end that. My kids are happier now that they’ve got two happy parents that work well together, I’m happy with that, our relationship now is better than it has ever been so I can’t say that was a big loss. Could’ve been a huge loss last week but you know, it wasn’t. Matthias: Thank you. What advice would you give to your twenty-year-old self? Anthony: Start climbing mountains earlier, because in that case, I’d be a North Face athlete, I could be a Nat Geo photographer I could be my man crush, Jimmy Chin. No, you know what? It’s the same advice I’d give to any 20-year-old or 10-year-old, it’s the advice that I give to my kids and they’re 7 and 4: Life is nothing without passion. If you love something, give it your all, follow it through, it doesn’t matter if it’s perceived as weird or different, who cares? It’s the same that I always believed. If you wanna make a difference you gotta be different. Anthony: Don’t just be another brick in the wall, Pink Floyd would say. Anthony: I just think to be passionate at life because you only get one shot at this life. A lot of people live as if they’ve got a second chance and then they’ll be 70 or 80 years old and look back and wish they’d done so many things and I don’t wanna live like that and I don’t think anyone should live like that because it doesn’t take much, it just takes you just getting out and going here “You know what I’m gonna tackle this on.” “I don’t wanna live in a house I wanna go and buy an RV and live in an RV and wake up in a new city or country or landscape every day.” Why does anyone judge that as being a gypsy, if that’s what you wanna do then that’s fantastic. I think everybody who lives an enriched life –whatever they’re doing– is something that you can’t criticise because they’re actually living. That’s what I would tell young people out there, my kids, myself. Start doing things that feel good and follow your inner voice, because your instincts are there for a reason and 99% of the times they’re right. Matthias: Exactly and I totally agree. We definitely need more dreamers. Most likely it’s like “You’re just a dream” and then go to work and be tired and do the things that you want to do or have some hobbies, but I’ve seen this myself, I was 28 when I started with concert photography I’m now 37 but I’m living really my dream life, I am having my home office and doing my HTBARP project which I love, I connect with other people, it’s just awesome to talk to you right now, me here in Vienna, you in the UK, and talking about stuff it’s so inspiring and motivational also for me. Anthony: Absolutely. One thing I’ve learned as well and continue learning is that you can learn from everybody. Everybody that touches your life or comes into your life does that and there’s a reason that that happened and you can learn from that and it doesn’t matter the kind of person that they are, everyone’s has got something valuable that they’d like to share with other people. Go and read. I’m telling you and I’m telling everybody that is also listening to this: if you wanna be inspired, go and read “Mud, sweat, and tears” the autobiography by Grylls because that will jolt you at –if you’re in two minds about things and what have you that’ll jolt you in the right direction. That’s one of the most inspiring books I’ve ever read. I remember just before the Matterhorn I read it for the third or fourth time and there are certain things that he says during a passage of the story that relates to his life and I applied that to myself while I was trudging up to that hard terrain up the 3500 metres to the Hörnli Hut because I struggled for a bit and I like remember what he said and it’s true, it’s all true but it’s all fundamental, people just don’t allow themselves to think about that kind of stuff on a daily basis. Matthias: I’ll read it, thanks. So, let’s do a short Q&A, I’ll ask you seven short questions and please answer them as quickly as possible. Matthias: Nikon, Canon or another brand? I think this is obvious. Anthony: Anything you’re comfortable with I think is the answer. Matthias: Yes, but yours is a Canon, right? Matthias: And camera model 1DX? Anthony: Yes, 1DX Mark II now. Matthias: Ok. If you could only choose one lens for your concert photography work, which one would it be? Matthias: Favourite record of all time? Matthias: Is there any music photographer you admire? Anthony: Well, you know, Adam Elmakias, all the big names are amazing, you included. Matthias: Thank you so much. The coolest concert you’ve shot so far? Anthony: It has got to be the Eric Church Red Rocks Colorado. Matthias: Which band is still on your concert photography bucket list? Matthias: Ok. Cool. 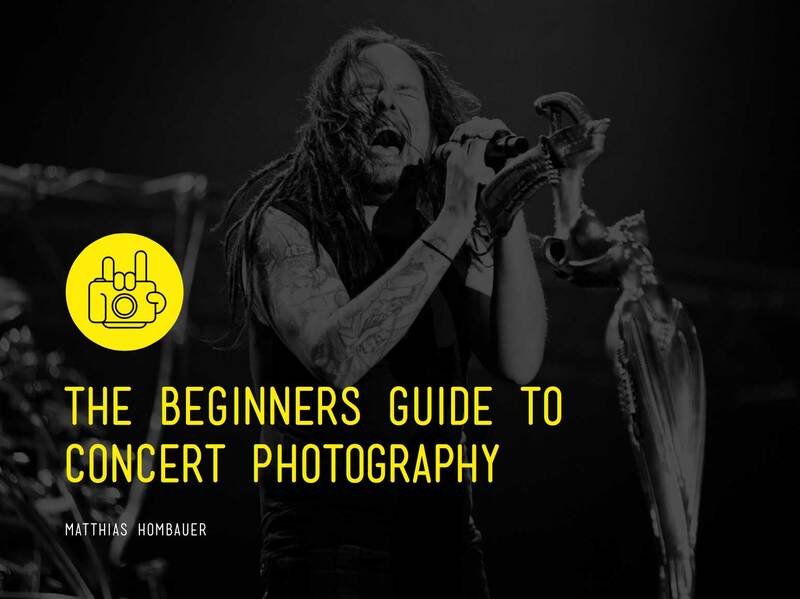 What is your must-have tip for someone that wants to stand out as a music photographer? Anthony: Get out there, shoot local bands, find people if you have friends just get out there, offer them photos, get to a point well you built up a portfolio, just keep doing it, don’t give up on it but at one point realize your worth. When you realize you’re worth, then you start charging. Matthias: Right, right. I did an interview with Luke Curtis two episodes ago and it was the same topic like “Ok, shooting for free to build a portfolio, but then go to the next level and charge for it and that’s the way you should do it.” I think that’s cool. Thank you so much, Anthony, for your openness and honesty, I really appreciate it. So, where can people find your work if they want to know more about you? Anthony: Thanks, Matthias. My website is now anthonydangio.com. It’s just has got a myriad of concert photography, portrait work, some glamour work, some landscape work, mountain climbing, all that stuff is on there. So, my name anthonydangio.com. Facebook is The Anthony D’angio as is Instagram @theanthonydangio, one word. Matthias: Cool, thank you so much. Anthony: Thank you so much, Matthias. Matthias: I really appreciate you finding the time to be here. Good luck with your film and good luck with your mountain climbing. Maybe I’ll join you to hike in Mount Everest. Anthony: Yeah, please do, let’s stay in touch. Thank you so much for having me, I really appreciate it. Matthias: Yeah me too, bye bye.